Rich and classy mixture of gold and black looks queenly. 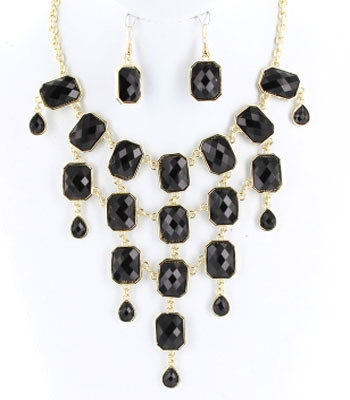 Rows and rows of multifaceted black resin stones linked together with a gold chain create a shining waterfall. Wear this necklace with the matching pendant earrings. We specialise in cheap jewellery online. Enjoy browsing thousands of fashionable jewellery items here today.